It seems fair to say that the new presidential administration may have increased the generalized level of worry among many Americans, not to mention the rest of the world. Among the things to worry about are the future of incentives, infrastructure, and legislation encouraging the adoption of zero-emission vehicles, primarily electric cars. These are the five questions we've been mulling over on that front. (1) What does the Trump Administration mean for electric cars? The new administration has already said it intends to kill the Clean Power Plan to reduce carbon emissions from electricity generation. 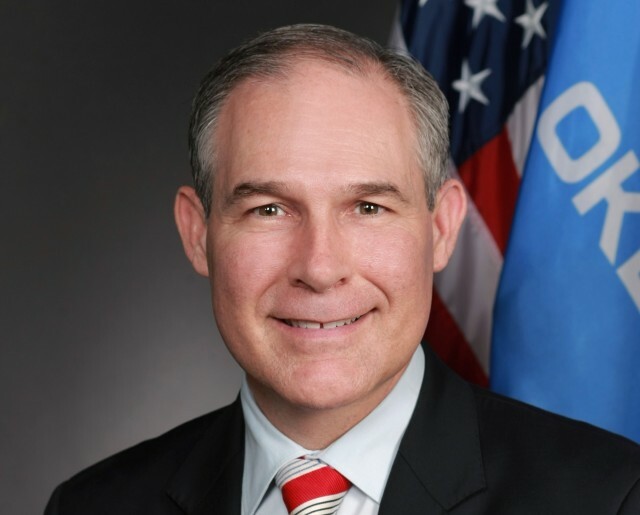 Yesterday, EPA administrator Scott Pruitt said carbon dioxide released by human activity is not a major cause of climate change, directly contradicting the scientific consensus. It's hardly the first time he has denied climate science, but it does appear to conflict directly with his testimony during his Senate confirmation hearings. The administration has now embarked on the process of reopening the comment period for the EPA's emission limits for 2022 through 2025 vehicles. That midterm-review period was cut short by more than a year when the agency finalized the proposed limits just before Trump took office. But the real question to watch is whether the EPA under Pruitt will go after the routinely granted waivers since 2009 that allow California to set its own emission limits, and states to adopt either the national rules or the stricter California ones—although no others. Early signs are that it will indeed do so, imperiling California's zero-emission vehicle mandate just as its numbers start to ramp up for 2018. 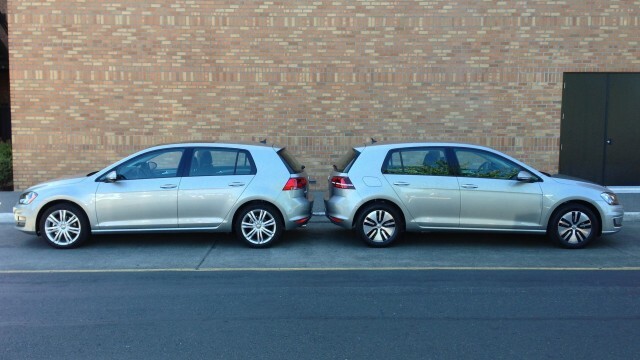 (2) How will Volkswagen's $2 billion "Electrify America" infrastructure plan for zero-emission vehicles roll out? Will the Trump Administration go after that part of the VW diesel scandal settlement to prevent that money from being spent as intended? What will be the split between electric-car charging and hydrogen fueling infrastructure, in dollars? 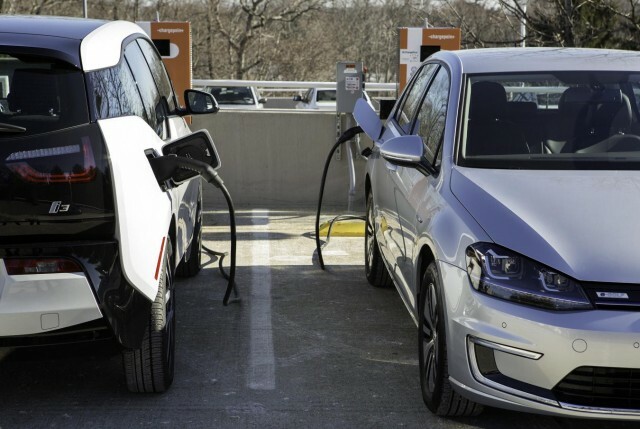 Will court challenges from existing charging networks delay or derail VW Group's plans? (3) How serious is GM about selling the 238-mile Chevrolet Bolt EV in volume? Following a lot of confusion not only among buyers but its own dealers, Chevrolet issued a state-by-state breakdown of when the Bolt EV could be ordered and arrive at dealers over the first nine months of this year. 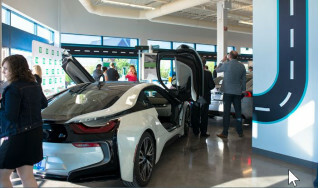 But reports of dealers not being able to get delivery dates for ordered cars, and general confusion over the process, are continuing—even beyond some level of dealer recalcitrance in selling electric cars in the first place. With Bolt EVs also being assigned to GM's Maven car-sharing service and the Lyft ride-sharing company it has invested in, it remains unclear how many Bolt EVs will be available for retail buyers. After being burned on projecting Volt sales years ago, the company no longer says anything about production volumes. 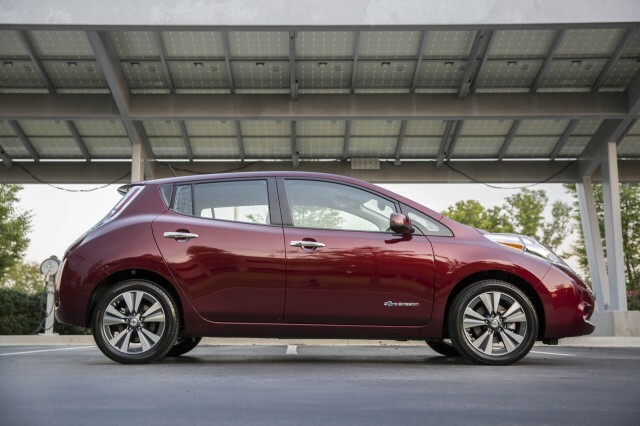 One supplier suggested two years ago that first-year production would be 30,000 or more, equaling the 2014 sales of the Nissan Leaf, the highest verified annual sales of any plug-in car in the U.S. Some analysts suggest the demand could be considerably higher, while others question the ability of cell supplier LG Chem to provide the needed volume of lithium-ion cells. GM has said only that it can manufacture as many Bolt EVs as the market demands. Only time will tell what the market demand is, but in our view, the question of whether GM is going the extra mile to overcome the hurdles of selling the Bolt EV remains open. (4) After 6 years, how is it that no marketing experts have emerged who know how to make electric cars exciting and compelling? The lack of smart marketing for electric cars after six years remains one of the most baffling and frustrating problems identified by electric-car advocates. 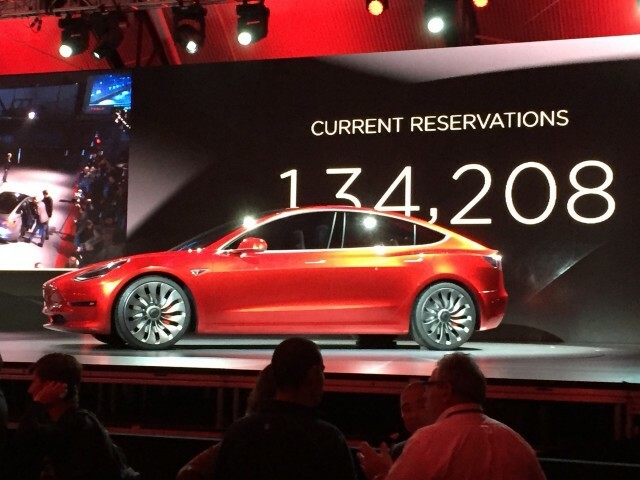 Ask any consumer to name an electric-car company, and you'll get Tesla. That's despite Nissan having sold more Leafs than any Tesla vehicle, Chevrolet now offering the first mass-market electric car with more than 200 miles of range, and so forth. Those companies simply don't register—and the conspiracy theorists among advocates tend to mutter darkly into their adult beverages that it's deliberate. But, seriously, folks ... after six years, what advertising or marketing have you seen from a major automaker that highlights the practical advantages of electric cars, including that they're much nicer and peppier to drive? Those same conspiracy theorists will suggest that the major makers don't want to sell electric cars at all. And that highlighting their advantages would cast their lineups of vehicles with gasoline engines (which is to say, the profitable ones) in a lesser light. We don't believe in conspiracy theories here at Green Car Reports. But sometimes it's very tempting. (5) Who "owns" CCS fast charging? How quickly will it go to 150 kilowatts? What will it cost? The lack of any planned, coherent DC fast-charging network for the two non-Tesla standards now in use—CHAdeMO and Combined Charging System or CCS, also known as "SAE Combo"—is brought into sharp relief by the comprehensive Tesla Supercharger network. While Nissan is the only major user of CHAdeMO fast charging, it clearly has no intention of funding a Supercharger-like rollout of charging stations across the U.S. that would enable long-distance road trips. But in some ways, the situation is even worse for CCS. Because it's been adopted by every U.S. maker except Tesla and every German maker, no one owns it. In other words, no one is driving the bus. GM has said it won't put a penny into charging infrastructure, while BMW, Nissan, and Volkswagen have partnered on a few corridor rollouts. 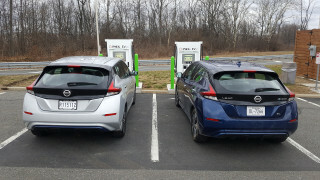 Among commercial charging networks, "fast" charging speeds and costs vary widely, and separate memberships are required for each network. The expectation these days seems to be that the $2 billion VW infrastructure fund will create the skeleton of a national network. To that, see point 2 above. On top of that is the problem of different "fast" charging speeds among vendors like ChargePoint and EVgo. Then there's the question of when charging speeds over 50 kilowatts will arrive. The Chevy Bolt EV is said to be capable of charging at up to 80 kw, and the Hyundai Ioniq Electric tops that at up to 100 kw. But while EVgo and KBB got a lot of press for installing a California charging station capable of 150 kw or more, what was missed in a lot of the coverage was that the station is experimental and not open for public use. To sum it all up ... we worry.